Thank you for all your kindest messages wishing me well on my last post. When I’m feeling down, reading lovely comments from you guys really cheers me up. Thank you! And thank you for your advice on hosting sites. I am still looking for a new host, and I am probably going to start paying for it. I’m currently thinking about NameCheap, considering I register my domain with them so I trust them with my money. Has anyone had any experience with them as a host? Last Monday I decided to go home to Shropshire for the week. It was kind of spur of the moment but I’m glad I went. I was feeling pretty low because of my hip and the fact it was preventing me from getting out. I need to rest and recuperate. Fortunately, the weather was fantastic last week. Not having a garden or balcony with our flat is annoying as we can’t sit out and enjoy the sun. We have to find a park or go down to the docks, which all involve walking. And so, I made the most out of the access I had to my parents garden. In fact, I developed quite a sun tan. Being at home without any university work to do also gave me chance to get some reading done. According to Goodreads I’d been reading my current book “Pop Goes The Weasel” by James Patterson for 69 days. Well, I hadn’t been reading it because I had too much geography related reading to be doing. I finally got the book finished at the weekend and made a start on the next book in the Alex Cross series “Roses Are Red”. I’m already over half way through, according to my Kindle. I came back to Liverpool yesterday as I had an appointment this morning with the physiotherapist. The place that I need to go to was quite a way out of the city centre so I got a taxi, and Tyrone came along too for moral support. The physiotherapist was lovely (I envy their job completely!) and could see that I was feeling pretty down because of the problems my hip was causing me. She examined me and said that my muscles felt knotted and that it might be one of the reasons why I was in so much pain. Due to my previous operations (and partly because of my legal case for medical negligence) I have managed to get an appointment with a consultant at the hospital next month. In the meantime I have some exercises to do and I’ve been advised to get some crutches as they may help. Weather wise, today is lovely. I decided to dress in summer clothes for my appointment but I also need to make sure that I wore something ready for a lot of movement with my legs. I chose this simple outfit. 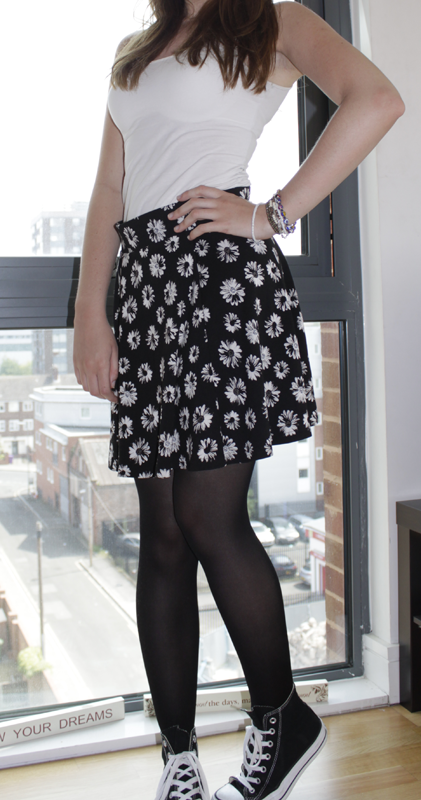 Vest: H&M, Skirt: H&M, Tights: Primark, Shoes: Converse. I’m off to see Godzilla tonight. The last time a Godzilla film was out (1998) my dad took my brothers to see it while I was in another screen with my mum watching Barney’s Great Adventure. My god, that shows my age! I’m with Namecheap, no problems so far! I like them far better than GoDaddy. I’m hosted at A Small Orange if you’re still looking. They have a plan for $5 and their support is amazing. I’ve sent two tickets and they’ve responded promptly. Haha no worries, but thanks for recommending A Small Orange. I will take a look at their hosting. 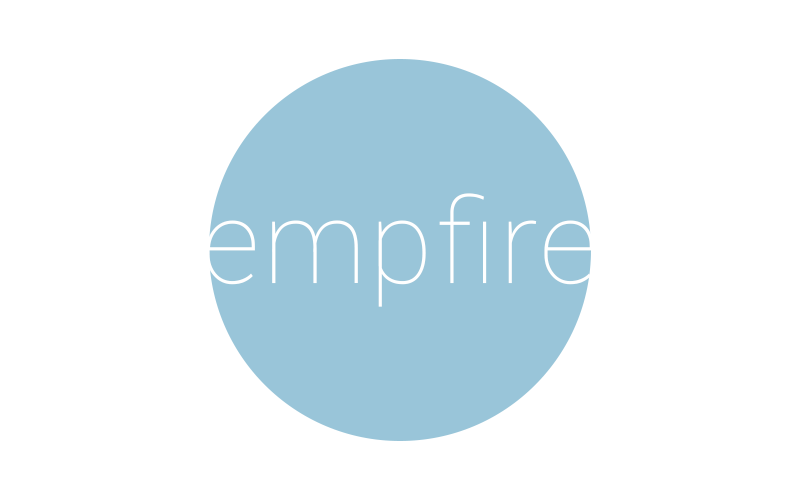 empfire » We’re off to Italy!